Time to switch up beauty products. 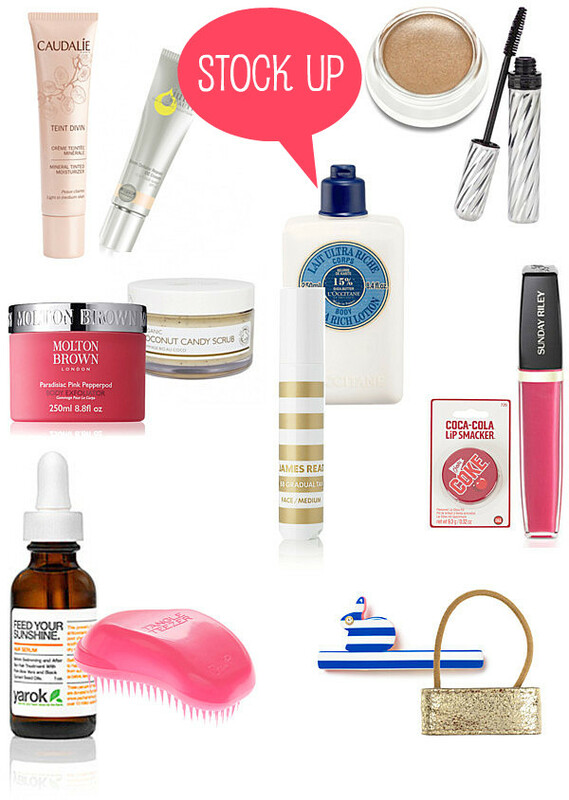 As your closet does, your beauty cabinet needs some spring cleaning. -Take everything out, wipe the shelves and clean your brushes and tools. 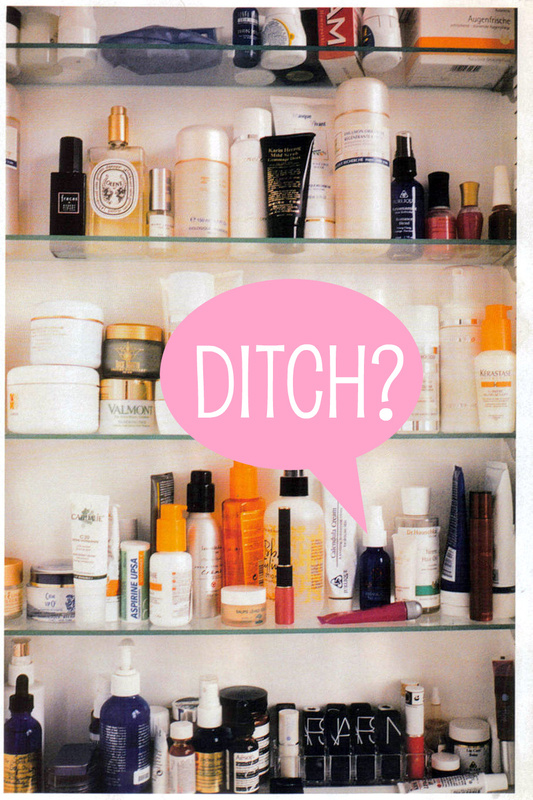 start by trowing away makeup, creams and shampoo that you haven't used in three months. Again if you don't use it, get rid of it! For day swap you foundation for a tinted moisturizer, I like Caudelie, or one of the new CC Creams, like this Juice Beauty one. With the beach and humidity coming up switch to waterproof mascara. This Borghese won't dry out your lashes. And leave the powder eyeshadow at home. I am obsessed with RMS solar cream eyeshadow. Start exfoliating, I use the scented ones that already transports me to the beach: Molton Brown Pink Pepper goodness, and A heavenly coconut one. Time for the self tanner, how great is it that Net-a-porter is selling beauty products now! And use a rich body lotion to prolong your color. For your hair, find a good leave-in conditioner that you can use in the sun. I already praised this Yarok serum, it works its magic on the beach. And if you hair gets messy like mine, use a gentle detangler. A ponytail is the best thing for a summer dress, so look for some stylish elastics and barrettes. And Voila. PS. Of course don't forget your sunscreen: I use this site to find the ones that won't harm my skin.